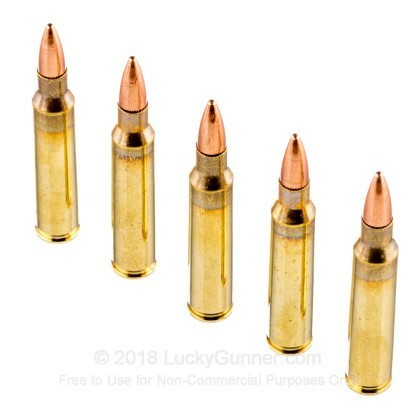 I have shot many a round through my out of box Colt A3 and this ammo is nothing short of amazing! I shot sub moa @ 100 yds with this coupled with a bargain sightron 4x12x40 scope. To say that I was pleased, is a vast understatement! 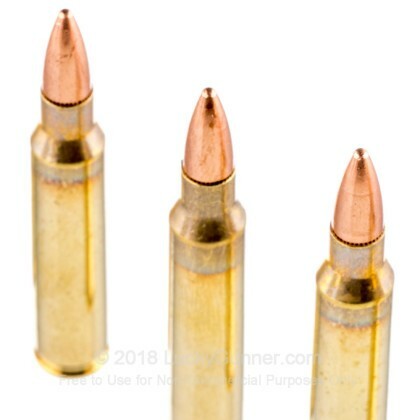 Shot 1-1/4 inch 5 shot group @100 yards with a10.5 inch barrel. 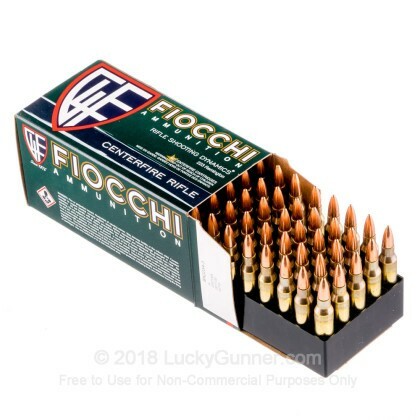 My gun loves this Fiocchi ammo and so do I! Who won? 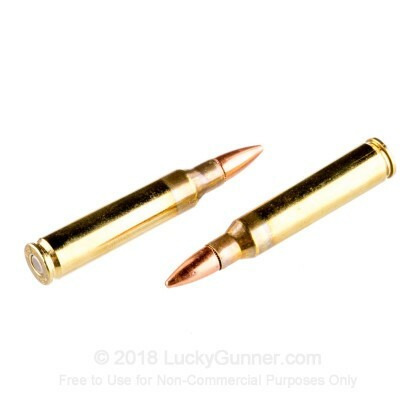 Lucky Gunner did, hands down. 5x5 thanks to LG. Great products at great prices. Can't lose. 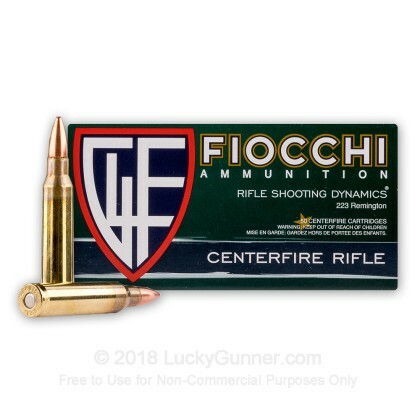 As always, Quality ammo with the fastest shipping in the industry! More bang for my buck!!! great prices, fast service, awesome selection! Would you please open a store nearby?! Very happy and will be taking advantage of the "Cash for Brass". 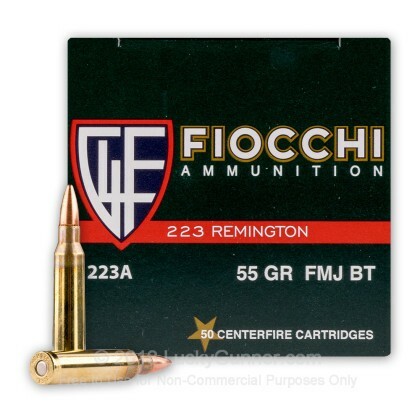 We also have this 223 Rem - 55 Grain FMJ - Fiocchi - 1000 Rounds ammo in stock in a bigger quantity.